JITO Bearing is a scientific and technological enterprise intergrating research and development, producing and trading. It is a member of china bearing industry association, a government unit of hebei province bearing association. The general manager Shizhen Wu is the standing committee of the political consultative conference of guantao county. 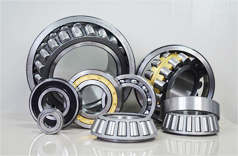 Since established, it has been committed to manufacturing high quality and high precision bearings, with the quality level of P0(Z1V1), P6(Z2V2) and P5(Z3V3). The registered brand: JITO and also registered in European Union. The company has gained ISO/TS16949 system certification, have many R&D patents, and was awarded “hebei provincial contract-respecting and credit-reliable enterprise” by hebei enterprise credit promotion association and hebei provincial enterprise credit research institute, and “hebei province science and technology SME” by hebei provincial science and technology department, etc. and issued certificate. JITO products are widely used in cars, trucks, engineering vehicles, agricultural machinery, paper-making, power-generation, mining, metallurgy, machine tools, petroleum and railway etc. In order to provide better service to customers and be convenient for customers to come to discuss and cooperate, our company established Liaocheng Jingnai Machinery Parts Co.,Ltd in liaocheng city, shandong province. The traffic is very convenient, only need 1 hour to arrive the west railway station in Ji'nan and 1.5 hours to arrive in Jinan yaoqiang international airport. The company has excellent sales team and R & D team, that makes the JITO bearing to be famous brand in the field. In order to improve the popularity, our company attend many exhibition around the world annually, and we continue to participate in each session of shanghai international bearing professional exhibition, china import and export commodities fair, beijing international automobile exhibition, shanghai frankfurt auto parts exhibition etc. The products can support OEM customer, and exported to European Union, south america, north america, southeast asia, the middle East, africa and other 30 countries.